Utah is dominated by the Mormon faith, and the state has long taken a no-nonsense approach to any form of vice. Liquor laws are notoriously strict within the state, and a 2012 meeting between lawmakers resulted in all forms of gambling being outlawed. That means there are no casinos, racetracks, sportsbooks, or off-track betting sites within the borders of the Beehive State. That doesn’t mean, however, that you can’t gamble in Utah. While opportunities may be scarce, resourceful gamblers can still find ways to get their fix. In this article, we’ll look at some of the more appealing options. Each year, March Madness grips the nation as 68 NCAA men’s basketball teams compete to determine the finest squad in the land. Even otherwise pious Utahns aren’t immune to the allure of this tournament, and the single-bracket design is perfect for office pools. Thanks to a variety of websites, you can even fill out a bracket without ever having to pick up a pencil. While there are no legal bookmakers in Utah to accept bets on the event, you always have the option of wagering with friends or finding an American-friendly online sportsbook. Office pools remain the safest option, and you’ll find them in most places of business. In terms of population, Utah is the smallest state to have a franchise from a major sporting league, and they also provide residents and tourists a number of other athletic options. Major sports books offer lines on these teams like any other, and I’ve seen nothing that would indicate that friendly side bets don’t take place all the time. One NBA team and one MLS team call Utah home. • Utah Jazz – This NBA franchise has been located in Salt Lake City ever since they moved from New Orleans in 1979. While they’ve never won an NBA title, the team managed to put together an impressive streak of consecutive playoff appearances from 1984 until 2003. The duo of John Stockton and Karl Malone are still revered in the state, as they led the team to the NBA finals in 1997 and 1998 (where they lost to Michael Jordan and the Chicago Bulls both times). • Real Salt Lake – Founded in 2005, this Major League Soccer franchise plays its home games at Rio Tinto Stadium in suburban Sandy, Utah. The team won the MLS championship in 2009, becoming the first Utah major league sports team to capture a title since 1971 when the Utah Stars won the ABA (American Basketball Association) title. • Brigham Young University – Operated by the LDS Church, BYU is the third-largest private university in the United States. The Cougars field 21 varsity teams, and their men’s basketball program ranks among the top 25 for total victories. Their football program has also been referred to as a “quarterback factory,” having produced NFL talents such as Steve Young, Ty Detmer, and Jim McMahon. • Southern Utah University – The Thunderbirds field 15 teams in men’s and women’s athletics. Some of these teams include tennis, softball, basketball, football, golf, and volleyball. • University of Utah – Also known as “The U,” this college fields seven men’s varsity sports, as well as 10 female teams. The Utes have captured 20 NCAA titles during their history, including championships in skiing, basketball, and gymnastics. • Utah State University – The Aggies are part of the Mountain West Conference, which they joined in 2013. Their men’s basketball team has been notable, racking up more wins in a 10-year span than all other teams besides Kansas, Duke, and Gonzaga. • Utah Valley University – The Wolverines compete in seven men’s and seven women’s sports. The men’s basketball team had 26th consecutive winning seasons until 2008. • Weber State University – Their men’s Wildcats basketball team is famous for first-round upsets in the NCAA tournament, and their women’s rodeo team won the national finals in 2006. 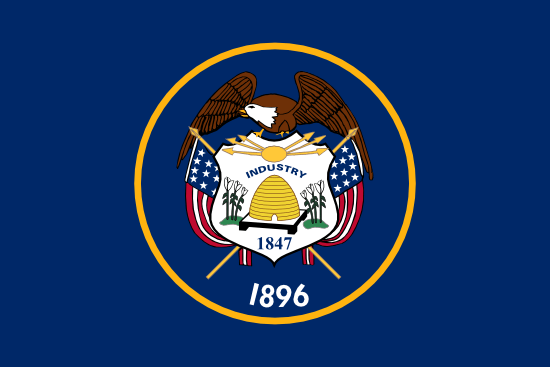 It’s illegal to gamble online in the state of Utah, although such a crime is only regarded as a misdemeanor. These “crimes” are never pursued or prosecuted, as they would be hard to prove without violating the privacy of the person being charged. And, really, only an idiot would walk up to a cop and admit that he or she was engaging in illegal Internet gambling. As long as you keep your mouth shut, you should be able to enjoy online sports betting without any problems. The hardest part is finding a book willing to accept USA customers, as well as figuring out which method of deposit is available. For those looking to sidestep online gambling, there are always the traditional options of betting with a friend or finding an illegal bookmaker who operates in your town or city. Both of these are easy to accomplish, although there’s always the risk that someone tries to welch on a bet. If you don’t mind driving, you can also fill up the car and take a trip to Las Vegas for some legal sports betting. According to Google, I-15 South will get you from Salt Lake City to Sin City is about 5 hours and 55 minutes. Utah would prefer to keep gambling out of its borders, but human nature just keeps rearing its ugly head despite the best efforts of the Latter-Day Saints. While all forms of gambling are technically illegal, you’re unlikely to find gamblers pursued with any greater vigor than any other state. That means you can still wager online, bet on a Jazz game with a friend, or even phone in a wager to a local bookie. As long as you’re discrete about it, gambling in Utah doesn’t differ than much from most other states.